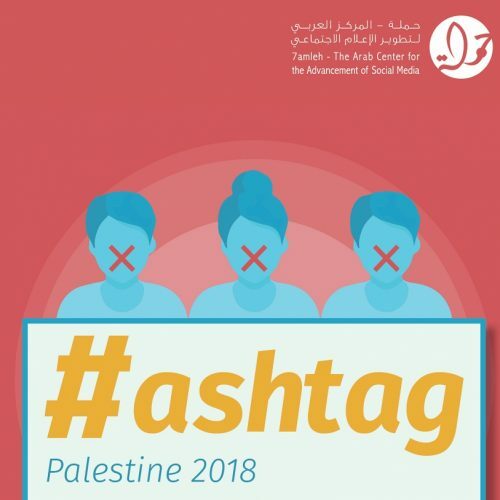 7amleh – The Arab Center for the Advancement of Social Media released a new report entitled, “Mapping Segregation – Google Maps and the Human Rights of Palestinians”. 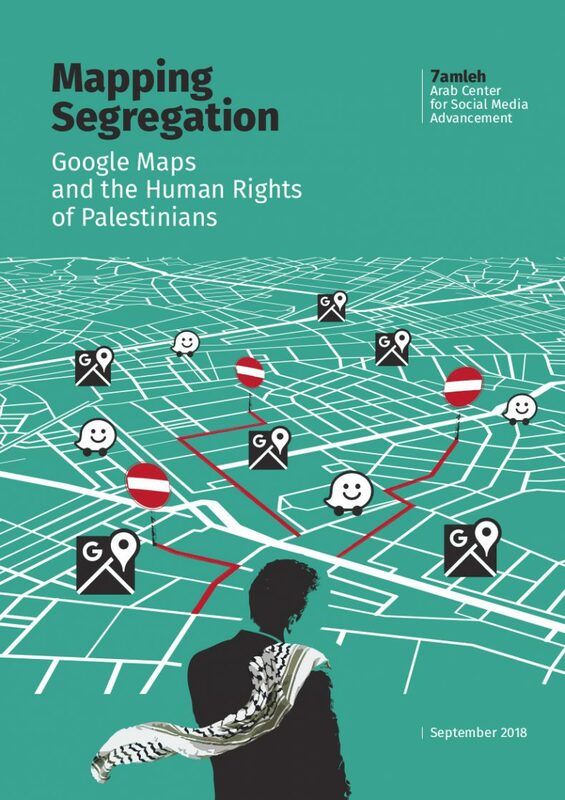 The report reveals new insights about how Google Maps’ mapping process in the occupied Palestinian territories serves the interests of the Israeli government and contradicts Google’s commitment to international human rights frameworks. 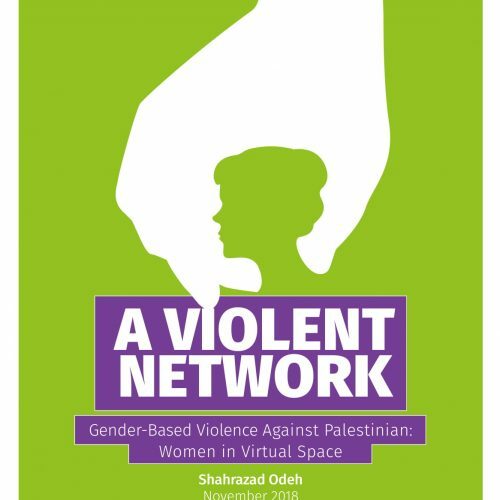 In particular it focuses on Google Maps’ representation of geography and political boundaries in Israel and the occupied territories, including Google’s use of terms and route planning. Google Maps does not include the search term “Palestine” and rarely includes the names of Palestinian areas unrecognized by Israel, while at the same time includes the names and locates of illegal Israeli settlements seamlessly. The maps also neglect to express the hundreds of roadblocks, permanent and flying checkpoints and that Israel has erected throughout the West Bank violating Palestinians’ right to freedom movement. As a result, Google Maps routes are only for Israelis and illegal Israeli settlers and can be dangerous for Palestinians. 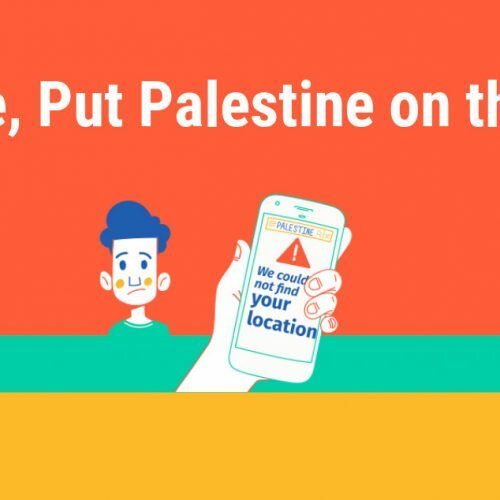 The report concludes that Google Maps’ refusal to display internationally recognized borders, Palestinian villages and cities, checkpoints and restricted areas endangers the lives of Palestinians and adopts the Israeli narrative of space which is contrary to international law. Palestine be named on Google Maps in accordance with the UN General Assembly Resolution of November 2012, and that, based on Resolution 181 of the UN General Assembly, the international status of Jerusalem is displayed accordingly. Google Maps includes all the “unrecognized” Palestinian villages in the first layer of their maps and provides the same degree of detail when representing Palestinian villages in Area C.
In accordance with Article 49 of the Fourth Geneva Convention and Article 55 of the Hague Regulations, Google Maps must refer to and distinguish illegal Israeli settlements within the West Bank. It is essential to clearly refer to areas A, B and C in the West Bank on Google Maps and to map all movement restrictions and restricted streets.